The Brno Metropolitan Area is an organic functional unit comprising of the city of Brno and its natural hinterland. This territory is defined on the basis of intensive daily relations (commuting and accessibility). Seven metropolitan areas (or agglomerations) have been outlined in the Czech Republic for the purposes of the Integrated Territorial Investment tool. The Brno Metropolitan Area is a typical example of a monocentric metropolitan area – this area has a single core, which is the city of Brno – the strongest centre of services, employment opportunities, education, etc. Within the Czech Republic, the Brno Metropolitan Area is one of the most strongly developing regions, the development of which needs to be systematically coordinated. Such a task is not at all a simple one. The Brno Metropolitan Area in fact consists of 167 municipalities (including Brno itself), where more than 600 thousand inhabitants live and their number is growing slightly from one year to another. At the present time, there is no legislative framework in place to cover the administration of metropolitan areas, hence the coordination of activities in the territory takes place on a partnership principle and through communication of the city of Brno with neighbouring municipalities. 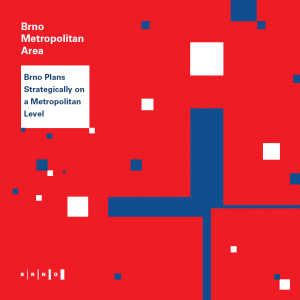 Please find more detailed information on strategic planning at the level of the Brno Metropolitan Area in the brochure below.